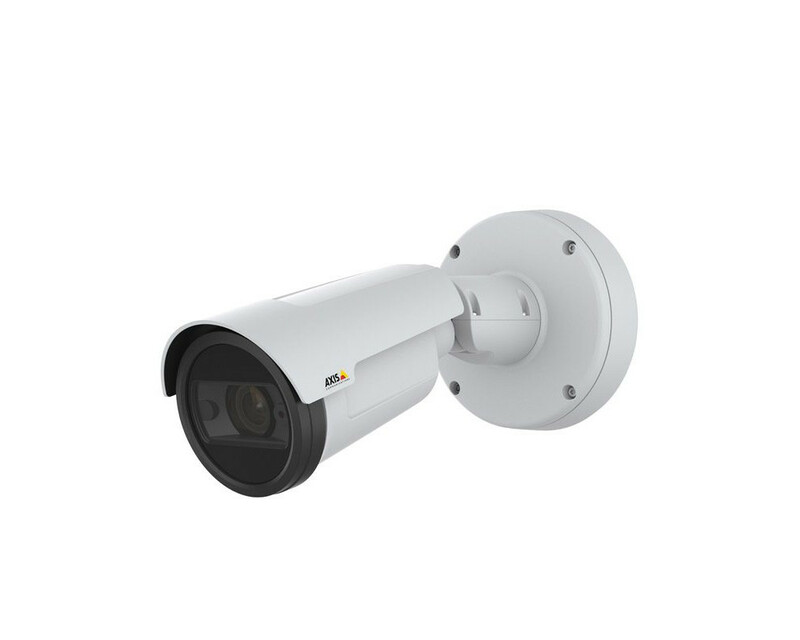 Compact outdoor, HDTV, day/night, fixed bullet camera providing Forensic WDR and Lightfinder for demanding light conditions. IR corrected varifocal 2.8-8.5 mm F1.2 P-iris lens with remote 3x optical zoom and focus. Multiple, individually configurable H.264 and Motion JPEG streams; max HDTV 1080p /2MP resolution at 50/60 fps.. Axis Zipstream technology for reduced bandwidth and storage needs. 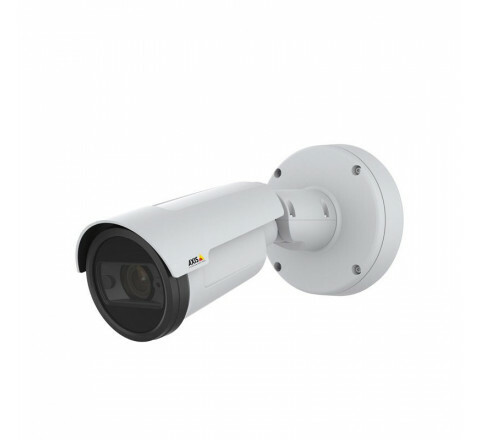 Video motion detection, active tampering alarm, shock detection and corridor format. Audio mic/line in, I/O for alarm/event handling and memory card slot for optional local video storage. OptimizedIR, a power-efficient IR LED technology covering 40 meters (131 feet). Integrated bracket for easy mounting on wall and ceiling. NEMA 4X, IP66/67 and IK10-rated for operation in -40°C to +60°C(-40 °F to 140 °F). Powered by IEEE 802.3af Type 1 Class 3 midspan (PoE). Midspan not included.